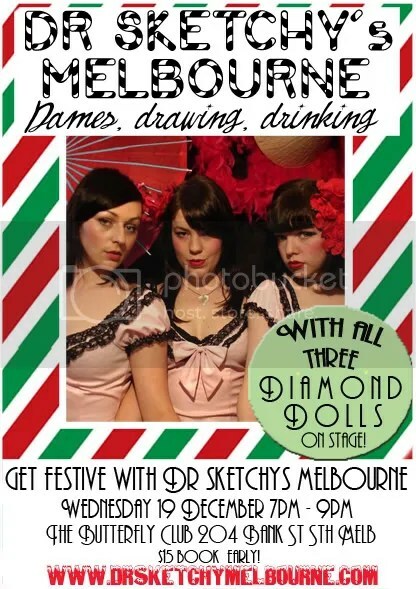 Get festive with Dr Sketchy’s on Wednesday 19 December. We will have not 1, not 2, but 3 Diamond Dolls on stage!! If you saw what happened when 2 of the Dolls visited us for Halloween expect evenmore for Christmas! Starting early at 7pm for the chance to enjoy some festive drinking, chatting and opening up sketchbooks after the session. Seats still available so book in quick!